Chiropractors practice a drug-free, hands-on approach to health care that includes patient examination, diagnosis and treatment. Chiropractors have broad diagnostic skills and are also trained to recommend therapeutic and rehabilitative exercises, as well as to provide nutritional, dietary and lifestyle counseling. If the outer wall of a spinal disc weakens, it may push out, or bulge, toward the nerves. This can cause painful nerve irritation. Stenosis is a narrowing of the spinal canal. Stenosis can press on the spinal cord and nerves and cause pain and other symptoms. Vertebrae that crack or break can be caused by an injury, repeated stress or a condition like osteoporosis, which can make bones weak and brittle. Spinal instability is when adjoining vertebrae slip back and forth, or have permanently shifted out of position. This instability can be caused by a damaged spinal disc, a bone injury, arthritis in the facet joints, or just something you were born with. If the outer wall of a spinal disc tears (ruptures), the soft material inside the disc can squeeze out and press on nearby nerves. This can cause pain, numbness or weakness in your legs or back. 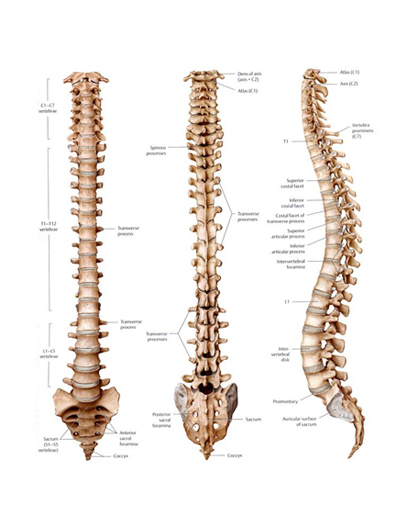 All the conditions described above can irritate or press on (pinch) the spinal cord or nerves. This can cause pain, numbness, weakness & other problems. Common examples include leg or arm pain when problems are related to the lower spine or neck. 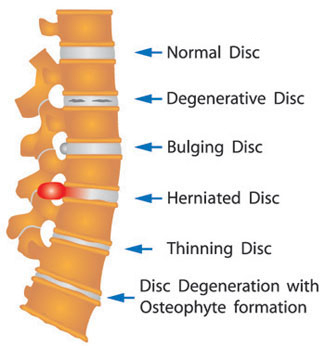 Degenerated Disc: Degenerative disc disease (DDD) is used to describe changes of the spinal discs – most commonly thinning, hardening and drying out. Disc degeneration can result from normal aging or wear-and-tear, but can start or accelerate because of injury, disease or unusual stress. Degenerated discs can irritate the spinal nerves and cause instability.